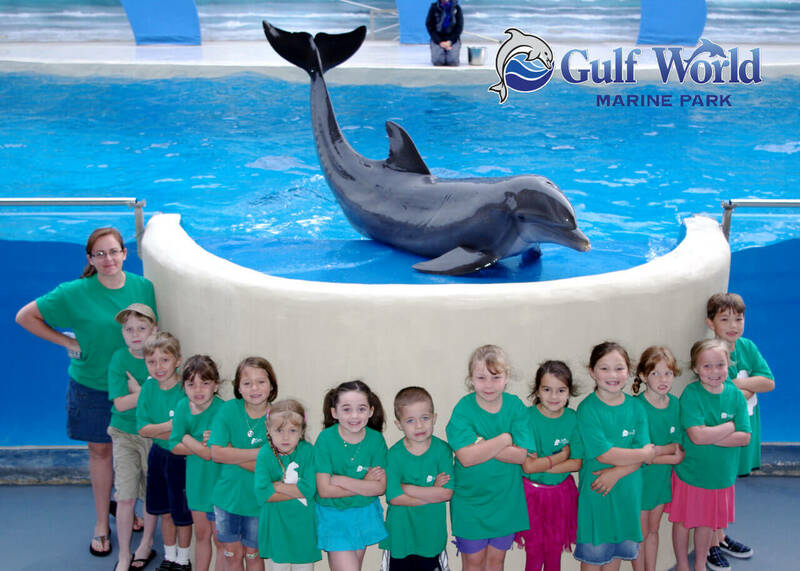 Take a trip out of your classroom and into ours during a field trip to Gulf World Marine Park! We offer special group rates and field trip opportunities to school groups, boy and girl scout troops, and many more groups and organizations. During your time at Gulf World, your group will encounter exciting animals from around the world, including dolphins, sea lions, alligators, sharks, penguins, flamingos and tropical birds. Through experiential learning and up-close animal interactions, students will discover the importance of the ocean’s fragile ecosystem—as well as ways to protect the environment in their everyday lives. Here at the park, we also realize the emphasis teachers place on state educational standards. To help with curriculum planning, therefore, we have created many helpful activities, games and lesson plans to assist teachers in the classroom—before, during, and after a field trip to Gulf World. For more information on field trip opportunities, please contact us at 850-234-5271.